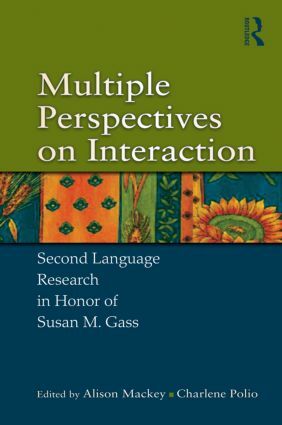 This volume in honor of Susan M. Gass focuses on interaction in second language acquisition from multiple perspectives. International experts in the field of SLA contribute insights and explanations on the interaction approach's compatibility with other theoretical approaches, key empirical studies, interaction in specific contexts, and future directions. Readers will find an enriching discussion of how the interaction research tradition is viewed in a wide range of different approaches to learning and teaching second languages.